Develop a deep understanding of the three tiers of RTI and gain access to example lesson plans tailored to diverse student skill sets. 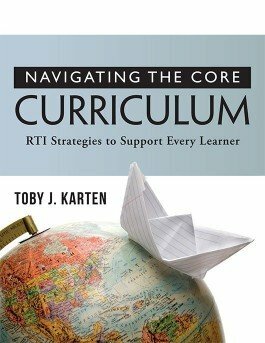 When educators plan instruction within an RTI framework, all K–12 learners can achieve core academic mastery across grades and disciplines. In this practical guide, the author identifies potential barriers to learning and establishes clear action plans for diminishing them. You’ll deepen your understanding of the three tiers of RTI and gain access to example lesson plans tailored to diverse student skill sets. Learn how to design multitiered lessons that honor diverse student literacy skill sets. Study classroom-tested quarterly and monthly planners that afford opportunities for repetition and enrichment. Examine how to best use evidence-based practice in K–12 classrooms. Discover why confidence, competence, and collaboration are vital classroom components for helping students gain core mastery. Consider lesson-plan templates that have multiple entry points for cultivating core skills.